Both of my girls were born with lots and lots and lots of hair. Phi had this big curly top! It grew bigger before it grew longer. Eventually she had hair down to her waist until she begged us to let her cut it. When she chopped off her hair I admit I cried a little. 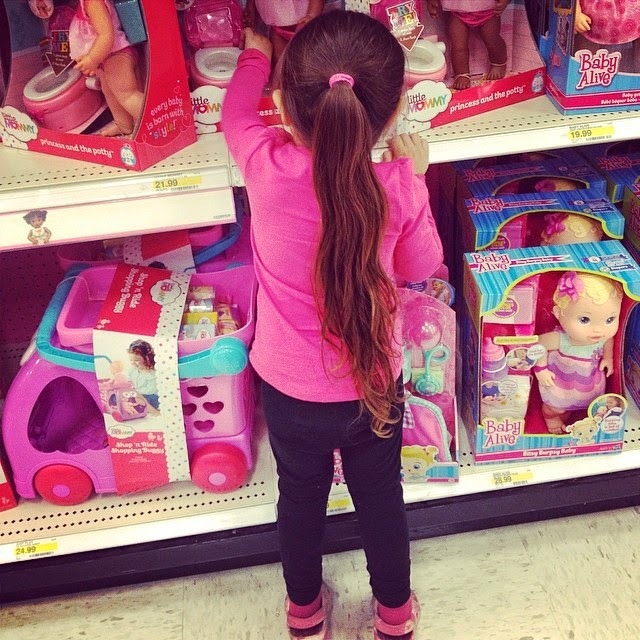 Not because of vanity reasons but because I was going to miss the ritual of combing her hair. Now a days Phi combs her own pixie haircut, but my little Louie now has even longer hair. When I get the chance to comb her hair I love to make long complicated braids. I do this for 2 reasons. One I love how these intricate braids look, and two, because it allows me to spend some quality time with my little one. For about 10-15 minutes I get to spend time talking to Louie and asking how things are in her world. Sometimes she will chit chat non-stop, sometimes I do. My favorite part is when we are done and she looks in the mirror, runs back to me, hugs me and says "thank you for my beautiful hair Momma!" I love this time with Louie, but what can make it hard to enjoy is tangles. There are times when Louie's hair is so tangled it has formed what I like to call "rat's nests". Having to comb through them usually turned our hair time into whining/crying time. This was no fun for anyone. 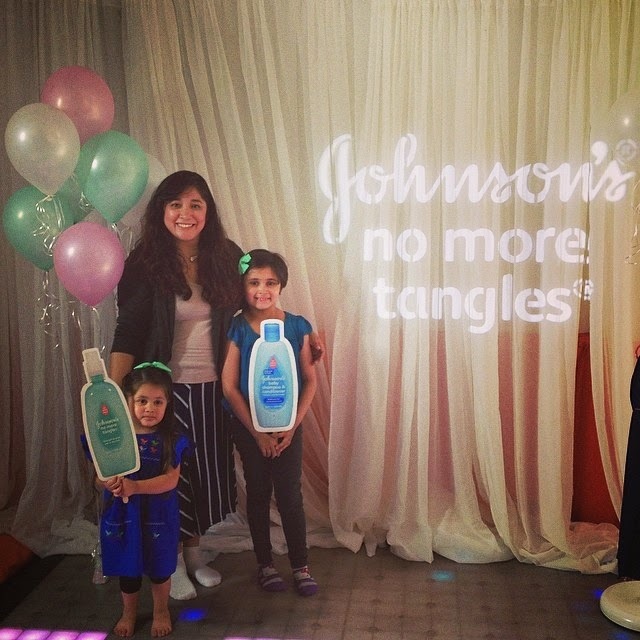 Cleanse: wash hair with Johnson's® No More Tangles®. My girls have really wavy and thick hair and Johnson's® carries a shampoo just for that type of hair! Nourish: Apply Johnson's® No More Tangles® Leave-In Conditioner. This step has saved us. A quarter size of this stuff helps keep Louie's hair from getting tangled during the day. Style: When it's time to braid and style Louie's hair a few sprays of Johnson's® No More Tangles® Detangling Spray helps to unlock any stray knots. It also helps get those sleek ponytail looks. While at the event we were able to sit with a stylist and learn even more about how useful and easy these products are to use. Check out Louie getting a fabulous makeover, and how cute Phi looks with a bow! Johnson's® Baby is the most trusted name in baby care. I love that even though my "babies" have outgrown the baby stage, these products are perfect to keep their beautiful hair, clean, shiny and healthy. Very cute. Sounds like a fun day.